2017, a year of change for everyone. As Sara Clash steps aside to focus on her myriad other projects, Broken Glow is psyched to announce Troy Gillespie as the new bassist of the band. With years of performing and recording under his belt, Troy brings a focused groove and a wealth of experience to the band. His riffs are central to the group’s new material. Listen here to “Monk Mode,” a song which heavily display’s Sara’s unique rhythmic sense. The band would like to formally thank Sara Clash for her 2 years playing with Broken Glow, and look forward to future collaborations. One such collaboration occurs Saturday April 8th at El Rocko Lounge in Savannah, GA. An Evening with Sara Clash, Broken Glow and Friends features a full night of live music, spoken word poetry, enchanting visuals and musical mash-ups. Since the release of “Filament” in February the band has been busy as usual – overseas press, new tunes, blues sets and great local gigs. Most excitingly, the band has collaborated with the illest illustrator Miggs Son to create a limited-release custom BG t-shirt, which will be available at the band’s live shows and online here. Be sure to pick one up while they still last! July will see the band shooting a brand new music video for “Filament” track MONK MODE with Gwynn drummer Eric Braun in the woods of North Carolina. August sees Broken Glow in Charleston, SC to record a brand new track at Hybrid Audio Solutions, the state-of-the-art studio run by Alan Price of modern rock riffers Madam Adam. On Friday 2/19/2016 Broken Glow will release “Filament,” the band’s brand new full length album! Featuring 9 never-before recorded tracks, this is the band at their best. The tunes were recorded during the summer of 2015 at Habitat Noise Studios on Wilmington Island, GA with Donald Moats (Coeds, Sins Of Godless Men, Habitat Noise, etc) and feature new member Chris Horton on guitars and background vocals. The band will host a release party at Southound Brewing Company is Savannah, GA on February 19th, 2016. To commemorate the event, Broken Glow has paired with the brewers at Southbound to create their very own custom brew, on tap at the show! BBXF opens the show with their riffy modern rock, Chazito’s food truck serves up hot food, Planetary Projections will be inducing lucid dreams and Rock 106.1 will broadcast live from the event. $15 gets you in admission to the show, a custom BG/Southbound pint glass and drink tickets, and the first 20 through the door get a free copy of “Filament!” Get your tickets in advance at here. And if you just can’t wait, check out “Blue Dream,” one of the brand new tracks from “Filament,” streaming right here on Reverbnation! After months of anticipation, Broken Glow is proud to announce to release of their next album, “Filament.” The 9-track offering, available for download and streaming February 19th, 2016, features new material spanning the band’s full spectrum of stylistic capabilities. With the help of Dope Sandwich Productions, the band will be playing the entire album and throwing a massive bash at Southbound Brewery on the date of the release. To commemorate the occasion, a custom Broken Glow brew will be on tap for the festivities, and guest performers from around the Savannah music scene will be bringing the good vibes for everybody. Until then be sure to pump “Live Like An Animal,” keep your ears open for more news, including music videos, original album art and details about the show. 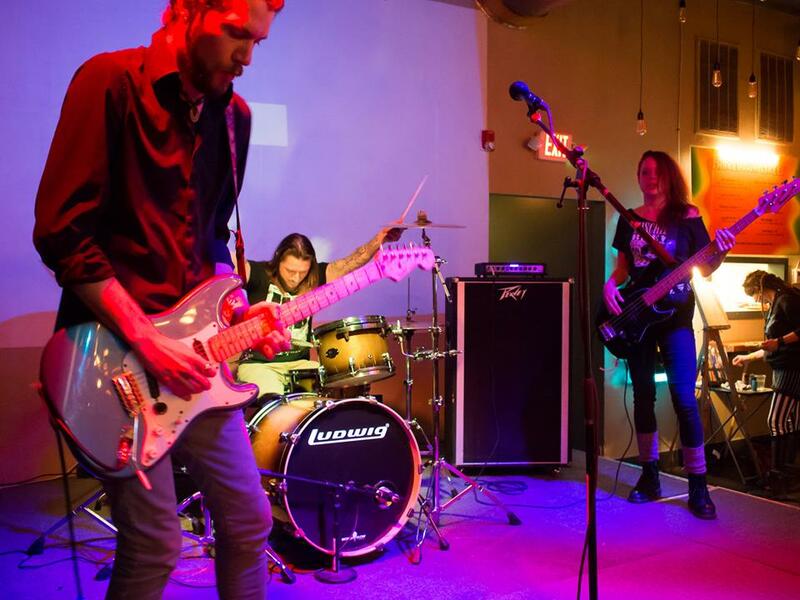 As Broken Glow prepares to record their new album, enjoy the band’s newest single, “Us And Ants.” Recorded at Hybrid Audio Solutions in Charleston, SC, the track foreshadows the band’s new material. 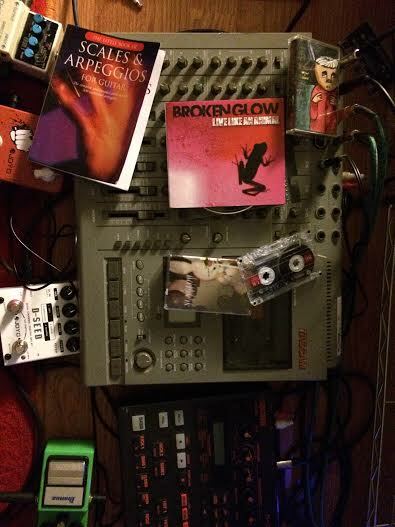 Stay tuned for upcoming Broken Glow shows this spring and summer! 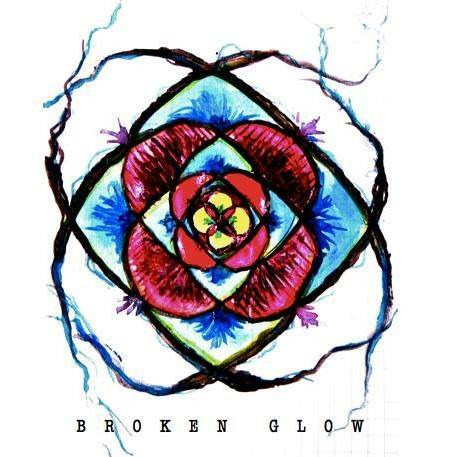 Long-time fans of Broken Glow have seen the band in various incarnations, from their beginnings as a riffy 5-piece in Connecticut to the current power trio line-up down in the low country of Savannah, GA. Through it all, Paul and Garrett have kept the flame alive for fans of fiery rock music. Last year Sara joined the group to fill out the vacant bass slot, and the release of “Live Like An Animal” in the summer of 2014 served to jump-start the band into a new-found groove and energy. 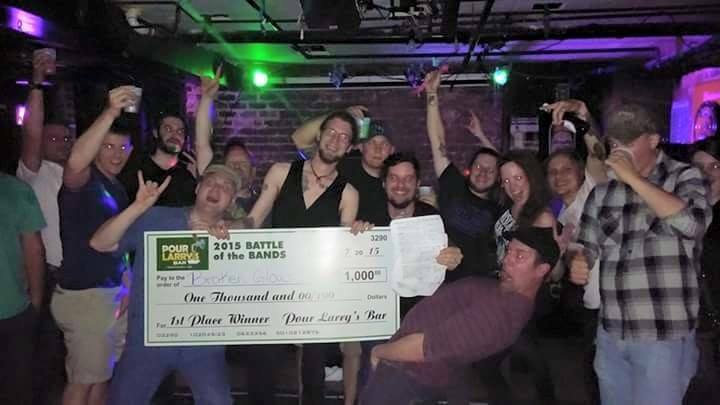 Since that time the band has toured the northeast, played with killer groups around the south, packed out downtown clubs, entertained small house show gatherings, received airplay on Savannah’s Rock 106.1 and received a giant check (clearly the lifetime goal of any sane individual). The band is excited for their first time utilizing this method of recording. When asked about the decision to use a reel-to-reel recorder, guitarist/vocalist Garrett Deming had this to say. “There is always heated debate among engineers and music lovers between the audio quality of digital recording vs. analog. Some swear there is no discernible difference between the two methods, but others have differing opinions. I’ve always admired (record engineer) Steve Albini, who’s worked with acts like Nirvana, The Pixies, and Jimmy Page to name a few. He runs a fully analog studio in Chicago, and has a lot to say about the sound quality and process that go into and result from analog recording. While the idea of recording straight to tape is alluring, it also presents its own set of hurdles. Digital softwares such as ProTools allow for virtually unlimited numbers of takes, overdubs, editing options, post-production effects and pitch-correction. They also make transferring sessions from one location to another much easier than does a cumbersome, heavy reel of delicate film. Though the band acknowledges these benefits to the digital approach, they say the challenge is part of the fun. Listeners should also expect some new tricks from these old dogs. “While the rhythm tracks will be the whole band playing in the same room live, we do have some room to overdub various instruments. Expect to hear my Hammond organ, some 12-string acoustic guitar, maybe some guest appearances from local Savannah music veterans.” These recordings will also mark the first Broken Glow tracks featuring bassist Sara Clash on lead vocals. 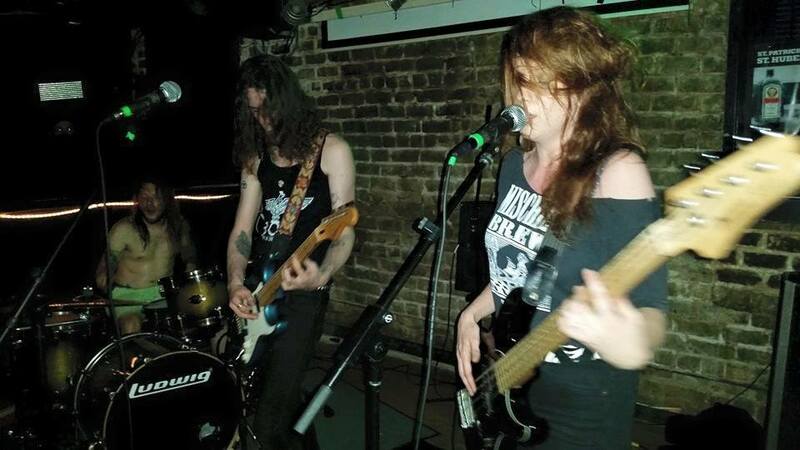 A veteran of the NYC underground music scene, the Swedish songstress has flexed her vocal muscles in bands such as Skunky Sara & The Nuggets, punk duo Chicks Throwing Bricks, Savannah’s own Culture Vulture, and space-rock duo SubZero, to name a few. “This is going to be the definitive Broken Glow album,” concludes Deming. “We’re going to pull out all the stops.” It certainly seems so. Tune in for more updates and announcements, including upcoming shows in Brunswick and Charleston, as well as new videos, local show announcements and a studio journal. Over the last 12 weeks we’ve seen some mighty talent playing live in Savannah. In the basement of Pour Larry’s, a killer live music venue centrally located in City Market, Rock 106.1 has been sponsoring this year’s Battle Of The Bands. During that time bands from across the stylistic realm have been duking it out for a chance to win $1,000 cash, as well as recording time at Hybrid Audio Solutions in Charleston, SC and a number of other prizes. 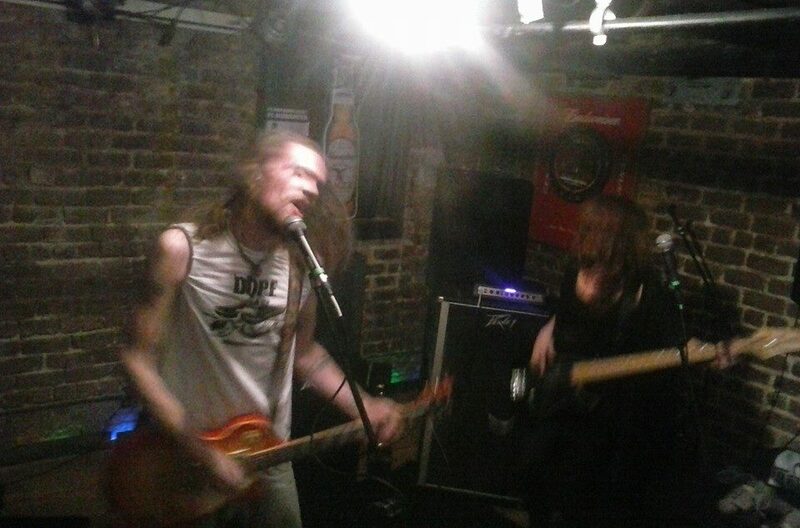 After skating past 3rd Class Citizens on April 2nd, Broken Glow was honored to play alongside fellow groovers Fishtooth and headbangers The Apprehended the following week. A close competition saw Broken Glow and acoustic songsters The Seventh Room advance to the final round, held April 17th. After bringing all they had, the final score was announced, with BROKEN GLOW just edging out the competition by a mere point. The band would love to extend their deepest appreciation for all of their friends and fans who’ve come to show support. Without the confidence and help of the music lovers, the band could never continue. Special thanks go out to Ryan Koch of Rock 106.1, Christopher Horton of IAMSOUND, Simon Ross of Planetary Projections, other killer local bands who’ve supported us like Omingnome, Culture Vulture, Bear Arcade, XuluProphet, Beneath Trees and so many more of our friends and fans for being badass! To catch Broken Glow in all their live glory, join the band at Tybee Island’s Rock House on April 30th to welcome Sara home from a Southeast Tour with Beneath Trees. The band will have shirts, cd’s hats and various other goodies available, so keep you ears open for more raucous rock and stay tuned for announcements regarding fresh recordings!